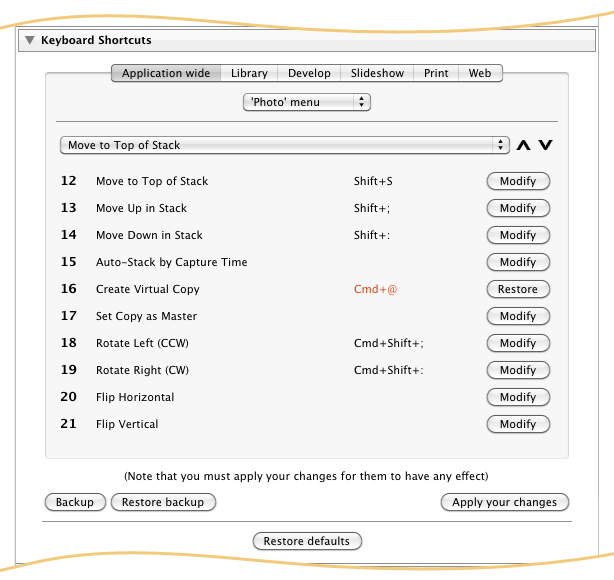 Keyboard Tamer is a plugin for Lightroom (versions 3 - 6) that allows you to redefine most of Lightroom's keyboard shortcuts, and to create new shortcuts for functions that don't yet have them. This plugin will be invaluable for those who wish to streamline their workflow and make Lightroom work for them. It's also a must for those who use Lightroom in a language that's different to the expected one for their keyboard layout. For example, those who run Lightroom in English on a machine with a non-U.S. keyboard will normally find that many of the shortcuts are inaccessible - with this plugin they can be redefined. This is a donationware plugin. The trial version will only allow you to change one keyboard shortcut, and donating will remove this restriction. Minor updates are free, but major upgrades following new releases of Lightroom may require further donations if the changes are great.